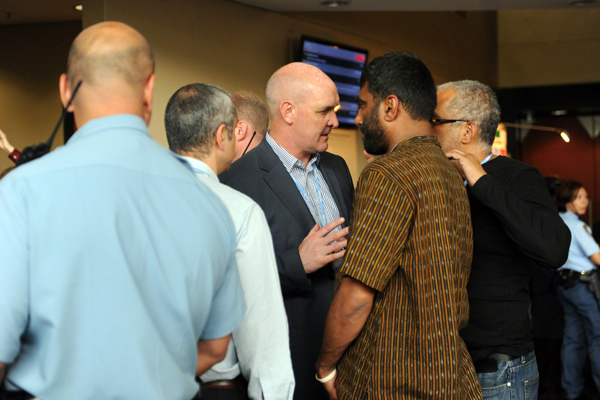 11:40 pm - LCA concludes discussions, without agreement. Text will be forwarded as a Chair's text and a joint COP CMP plenary scheduled in half an hour. 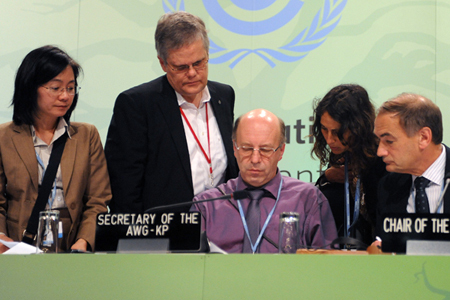 9:50 pm - AWG-KP agrees to send text to CMP as a Chair's text with brackets on the commitment period years. AWG-LCA meets to consider text for an agreement. 9:10 pm - The AWG-KP discusses the text of an agreement to be forwarded to the CMP. 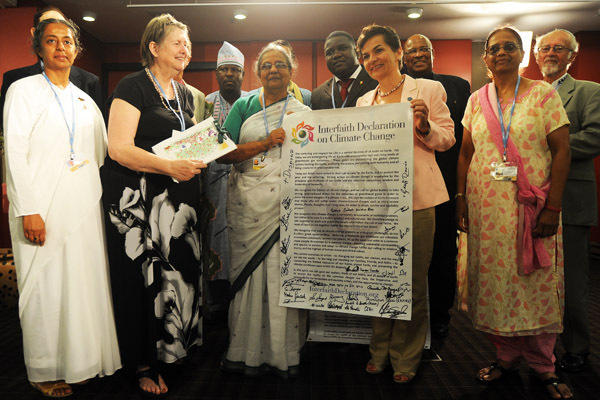 Disagreements remain on the length of the second commitment period, as well as other issues. 7:50 pm - AWG-KP plenary convenes at approximately 7:30 pm and was suspended for further consultations. 7:10 pm - At 6:45 pm an informal stocktaking plenary convened by COP President urged delegates to agree to the Durban Outcomes. 5:55 pm - President's informal stocktaking plenary scheduled for 6:00 pm. 5:30 pm - Delegates continue to wait for ministers to finish their meetings. 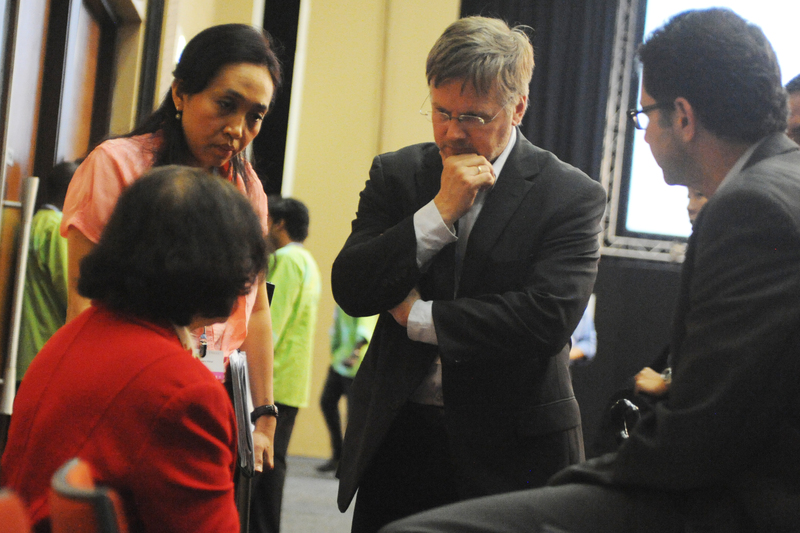 Plenary not scheduled yet. 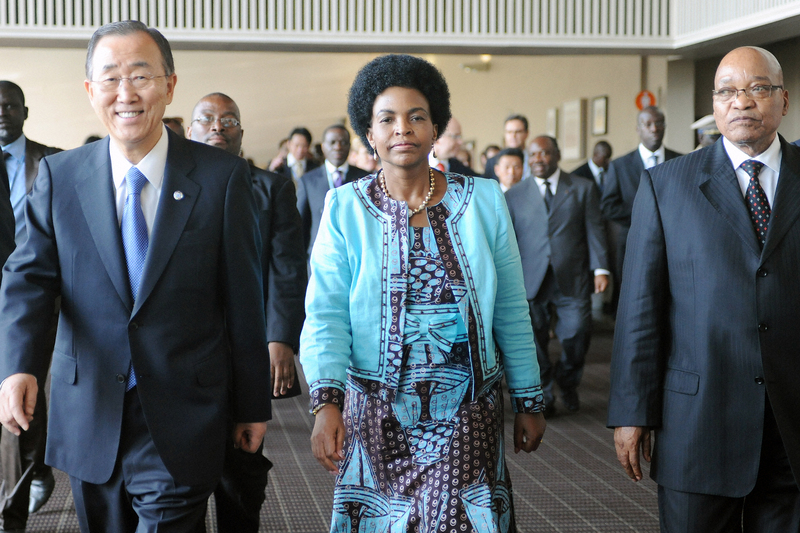 2:00 pm - Ministers are meeting now and plenary is not scheduled yet. 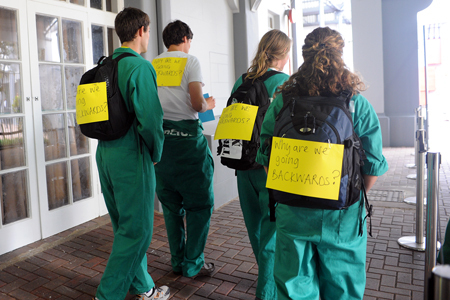 11:28 am - Delegates are studying linkages across elements of the package, inlcuding the LCA, KP and GCF documents. 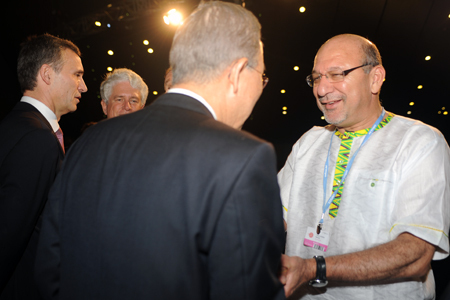 A timeframe for the Plenary has not been determined. 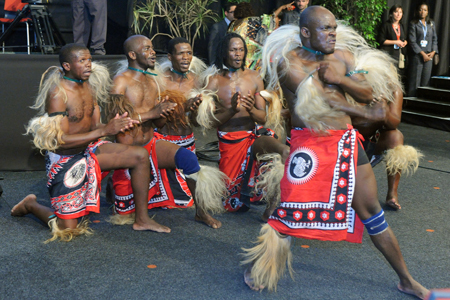 12:45 am - Indaba ongoing until 4:00 am to resolve outstanding issues. 11:30 pm - Plenary is scheduled to reconvene at 10:00 am on Saturday morning. 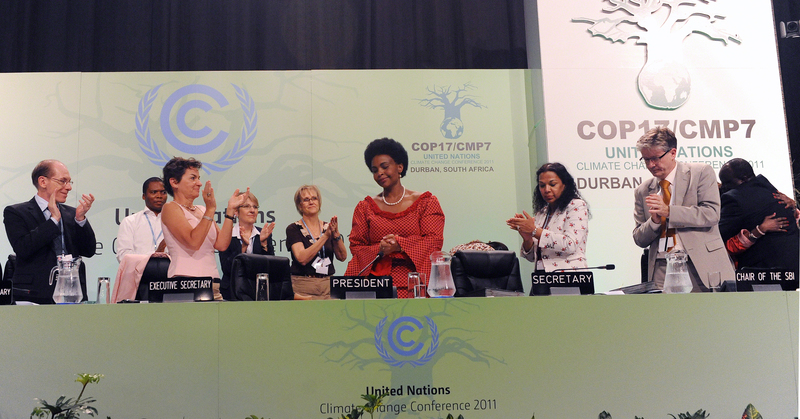 10:00 pm - On Friday, the COP 17/CMP 7 President convened a ministerial Indaba to present draft decision text for the AWG-LCA and the AWG-KP. 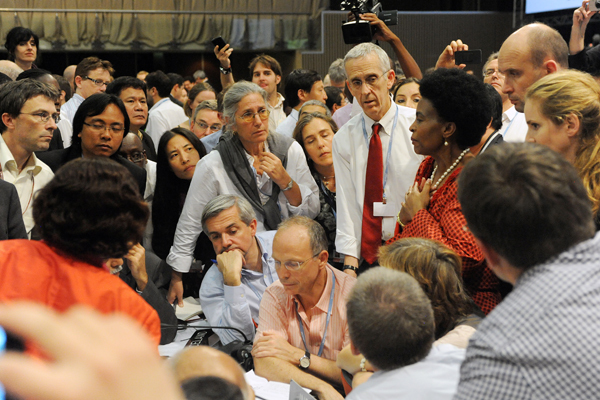 Informal consultations also continued inter alia on national adaptation plans, the CDM and response measures. 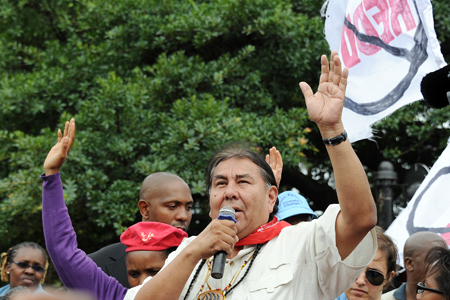 The closing plenaries of the the COP and COP/MOP opened to adopt SBSTA and SBI decisions and were subsequently suspended to wait for ongoing negotiations. 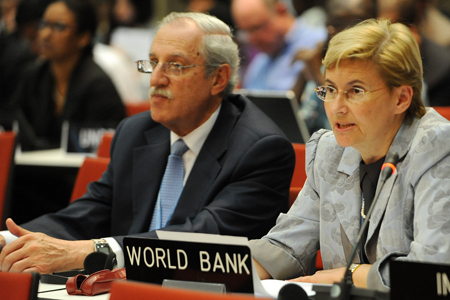 On Thursday, ministers and their representatives, and observer organizations addressed delegates in a joint high-level segment held throughout the day. 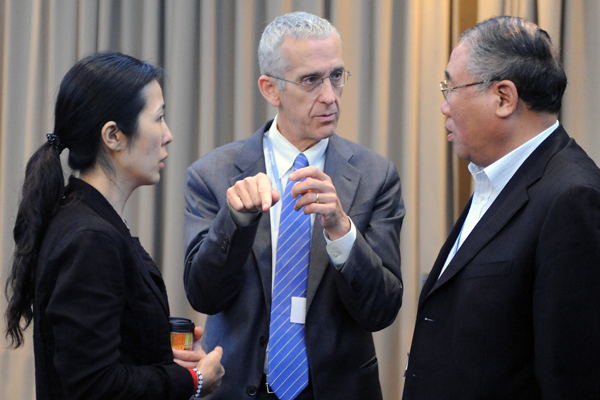 In the morning, a President’s informal stocktaking plenary was held. 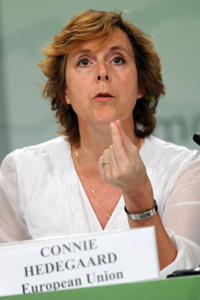 Contact groups and informal consultations met throughout the day and into the night on several issues, including Annex I emissions reductions, adoption of the COP agenda, Kyoto Protocol amendments, the CDM, the Adaptation Fund, finance, response measures, sectoral approaches, market and non-market approaches, national adaptation plans, technology transfer and capacity building. 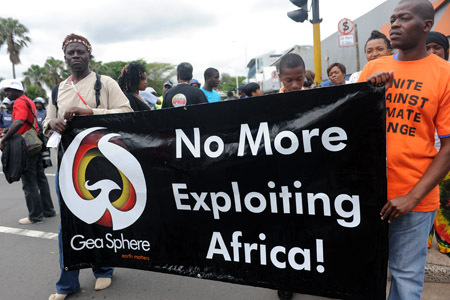 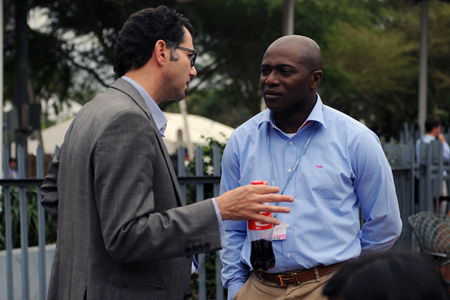 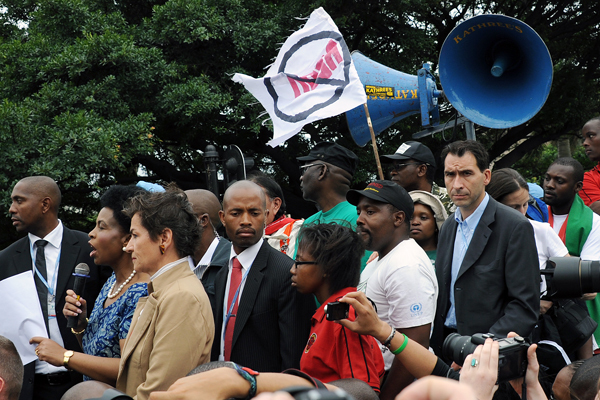 South Africa also held ministerial and technical Indaba sessions to try to bring positions closer among parties. 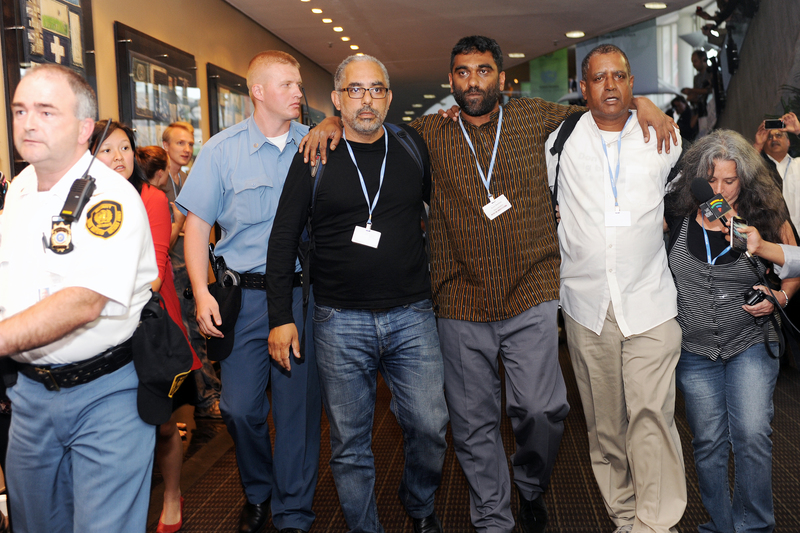 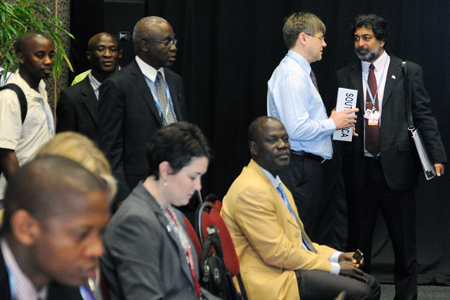 Download the COP17/CMP7 daily report for Thursday, 8 December in English HTML or PDF format. 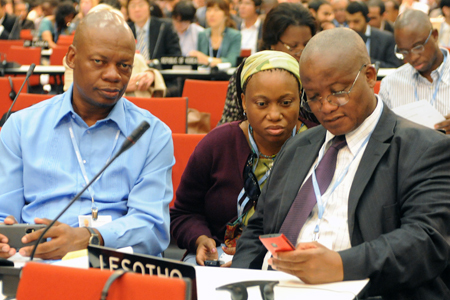 Download the COP17/CMP7 daily report for Thursday, 8 December in French HTML or PDF format. 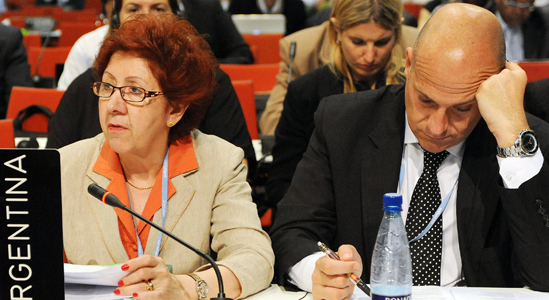 Download the COP17/CMP7 daily report for Thursday, 8 December in Spanish HTML or PDF format. 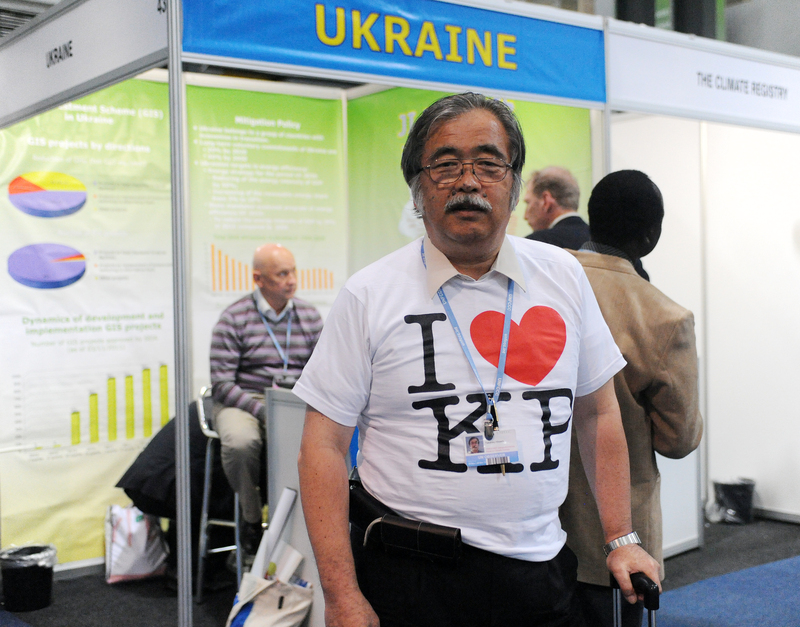 Download the COP17/CMP7 daily report for Thursday, 8 December in Japanese PDF format. 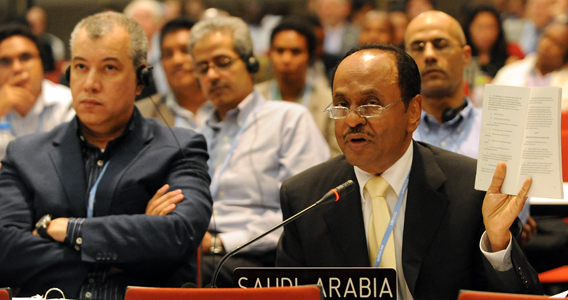 On Wednesday, ministers and their representatives addressed delegates in a joint high-level segment held throughout the day. 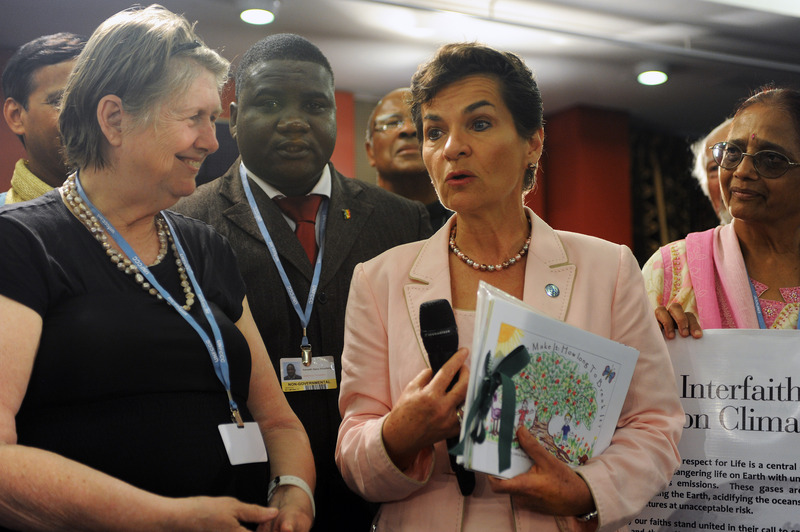 In the morning a new amalgamation text was presented to the AWG-LCA contact group. 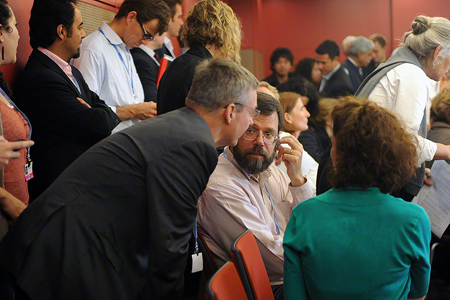 Contact groups and informal consultations met throughout the day and into the night on several issues, including: Annex I emissions reductions, Kyoto Protocol amendments, the CDM, the Adaptation Fund, finance, response measures, sectoral approaches, market and non-market approaches, adaptation, technology transfer and the Review. 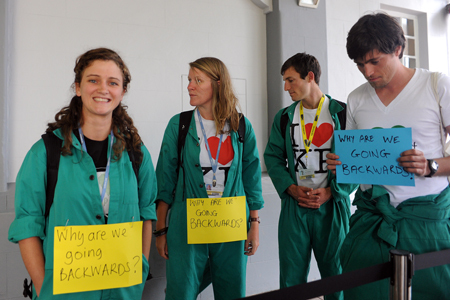 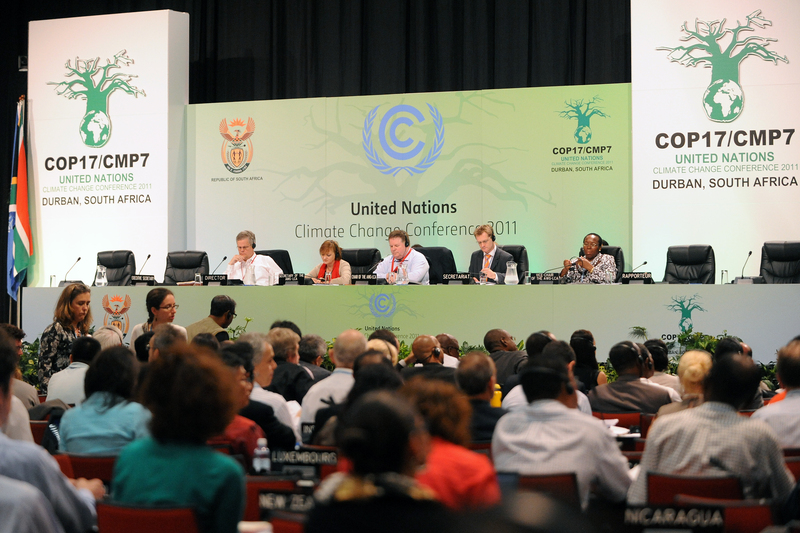 Download the COP17/CMP7 daily report for Wednesday, 7 December in English HTML or PDF format. 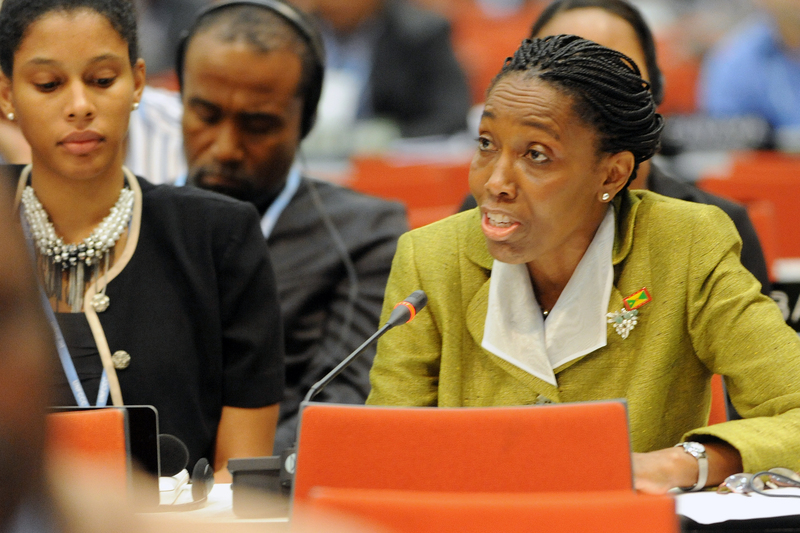 Download the COP17/CMP7 daily report for Wednesday, 7 December in French HTML or PDF format. 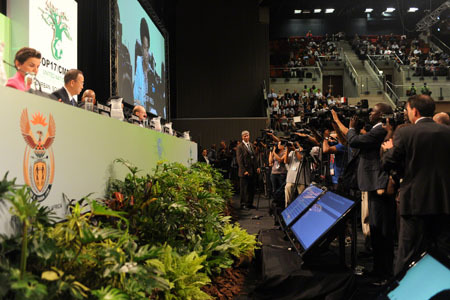 Download the COP17/CMP7 daily report for Wednesday, 7 December in Spanish HTML or PDF format. 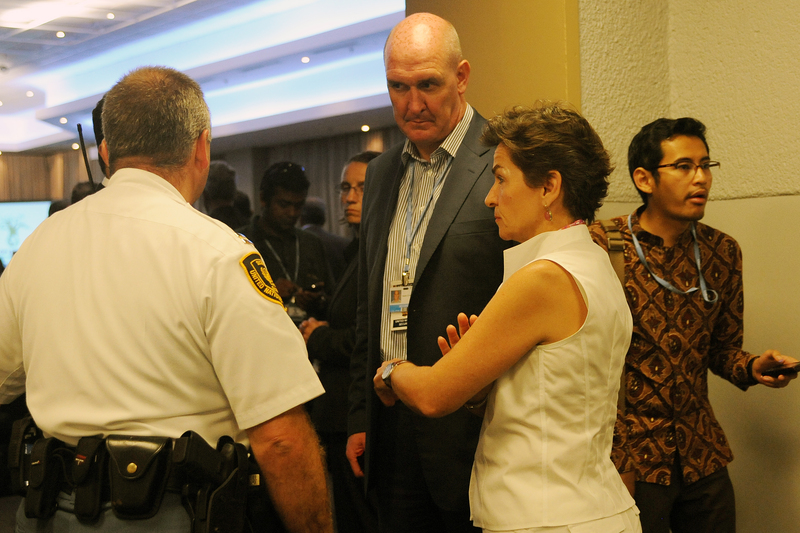 Download the COP17/CMP7 daily report for Wednesday, 7 December in Japanese PDF format. 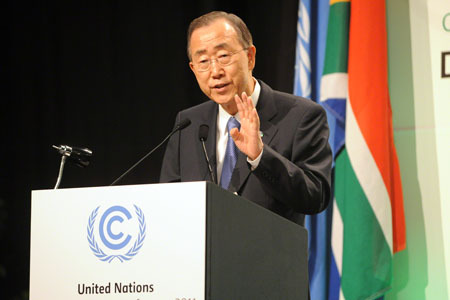 UN Secretary-General Ban Ki-moon speaking at the side event "United Nations System delivering as one on climate change: Helping Countries Implement the Cancun Agreement"
On Tuesday, Heads of State and international organizations, as well as regional group representatives addressed delegates in a High Level Segment held in the afternoon, while contact groups and informal consultations met throughout the day and into the night on several issues, including the CDM, the Adaptation Fund, LULUCF, REDD+, finance, response measures, legal options, sectoral approaches, market approaches, adaptation and the Review. 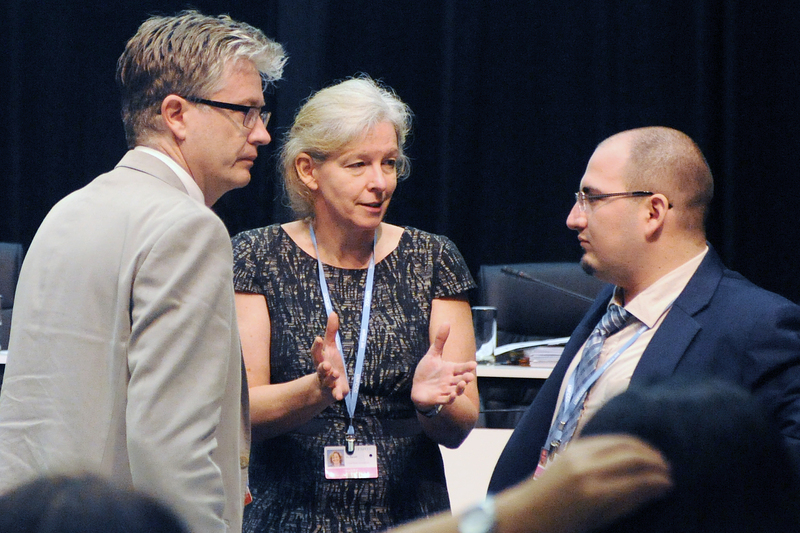 Download the COP17/CMP7 daily report for Tuesday, 6 December in English HTML or PDF format. 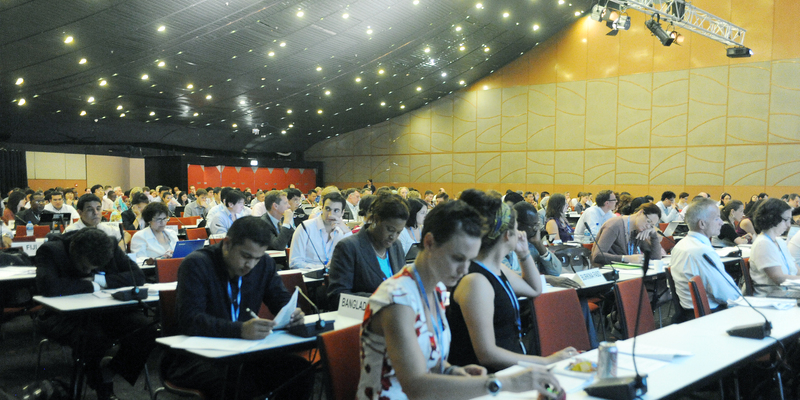 Download the COP17/CMP7 daily report for Tuesday, 6 December in French HTML or PDF format. 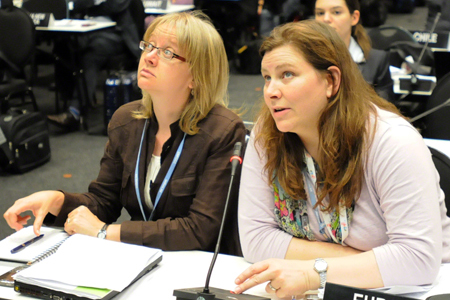 Download the COP17/CMP7 daily report for Tuesday, 6 December in Spanish HTML or PDF format. 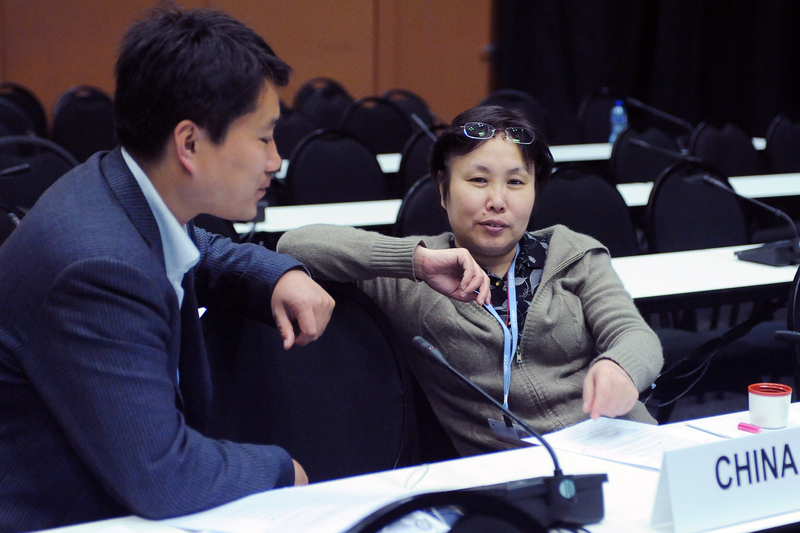 Download the COP17/CMP7 daily report for Tuesday, 6 December in Japanese PDF format. On Monday, the AWG-LCA plenary met in the morning to discuss the amalgamation document presented by the Chair. Contact groups and informal consultations were held throughout the day on a series of issues, including the technology executive committee (TEC), voting, the CDM, the Adaptation Fund, LULUCF, finance, market approaches, adaptation and a shared vision. 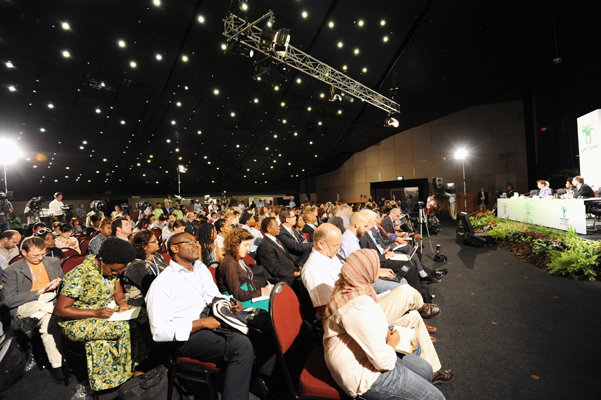 Download the COP17/CMP7 daily report for Monday, 5 December in English HTML or PDF format. Download the COP17/CMP7 daily report for Monday, 5 December in French HTML or PDF format. 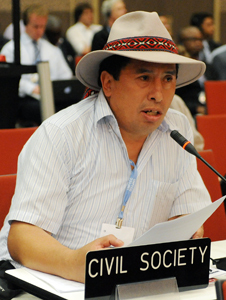 Download the COP17/CMP7 daily report for Monday, 5 December in Spanish HTML or PDF format. 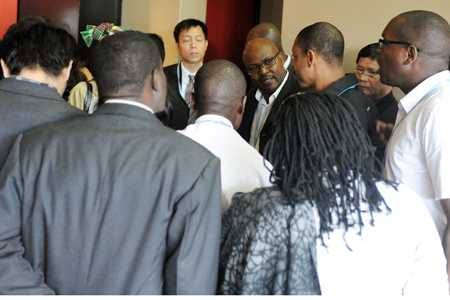 Download the COP17/CMP7 daily report for Monday, 5 December in Japanese PDF format. 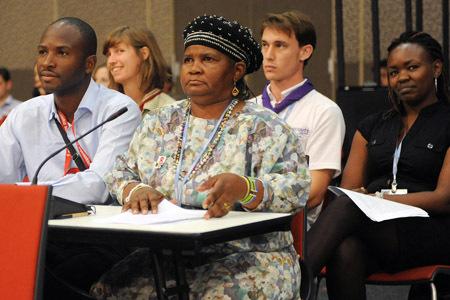 The SBI and SBSTA closing plenaries began on Saturday afternoon and concluded late Saturday night. 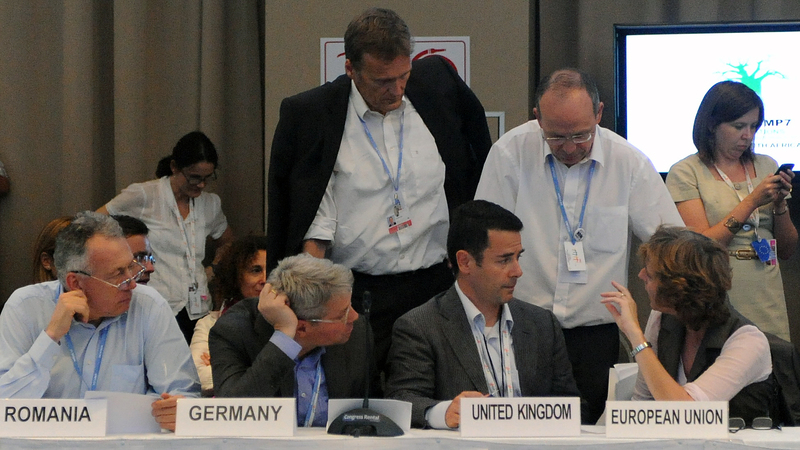 Contact groups and informal consultations were also held on a wide range of agenda items under the COP, COP/MOP, AWG-LCA and AWG-KP, with negotiations continuing throughout the day. 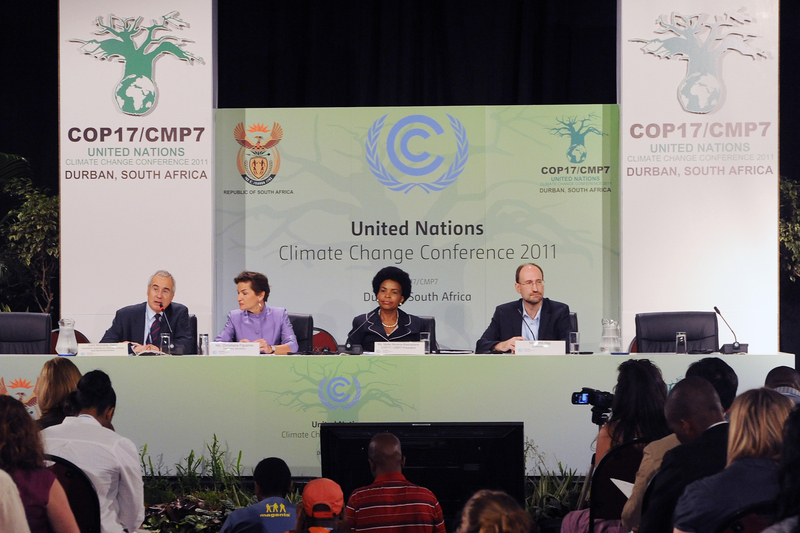 Download the COP17/CMP7 daily report for Saturday, 3 December in English HTML or PDF format. Download the COP17/CMP7 daily report for Saturday, 3 December in French HTML or PDF format. 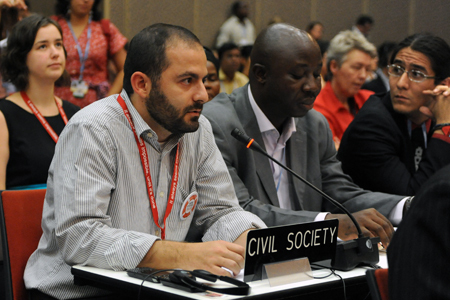 Download the COP17/CMP7 daily report for Saturday, 3 December in Spanish HTML or PDF format. 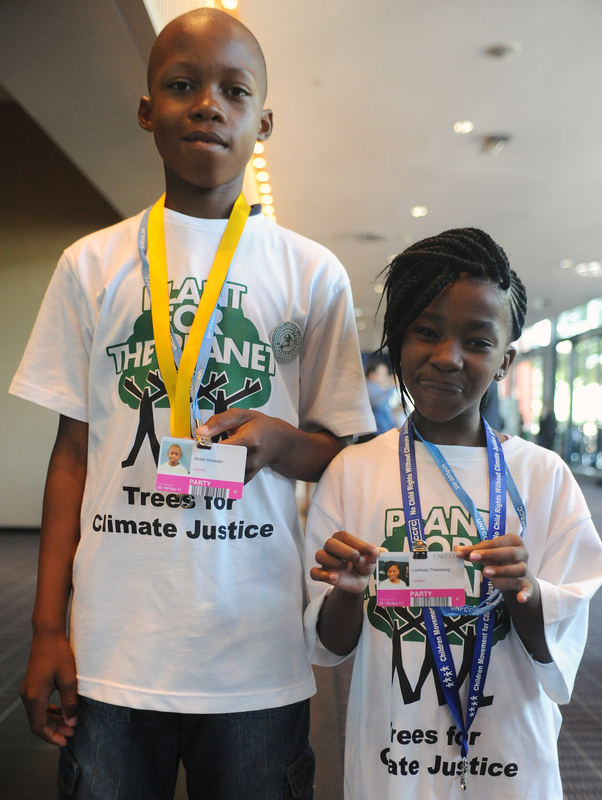 Download the COP17/CMP7 daily report for Saturday, 3 December in Japanese PDF format. 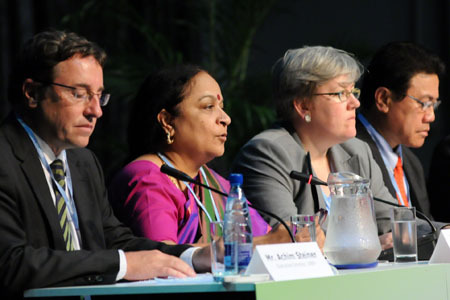 Delegates met in contact groups and for informal consultations on a wide range of agenda items under the COP, COP/MOP, AWG-LCA, AWG-KP, SBI and SBSTA. 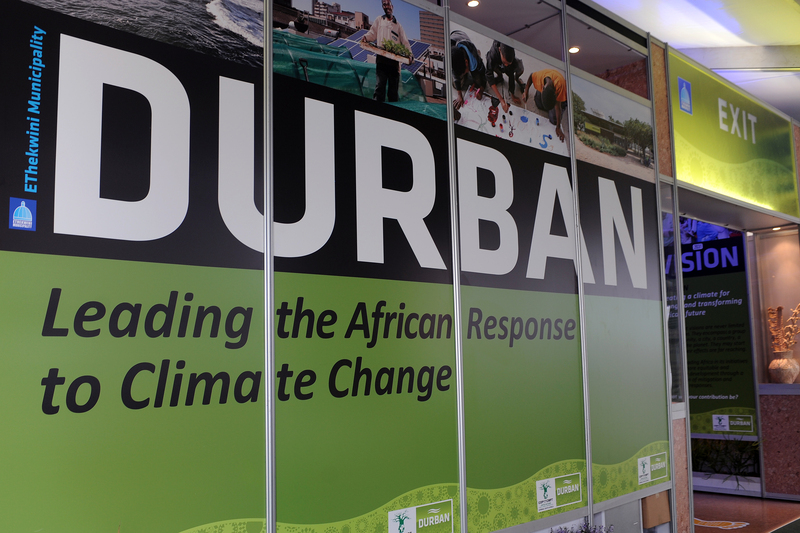 Negotiations continued during the day and into the night on draft texts that are expected to form the basis of outcomes in Durban. 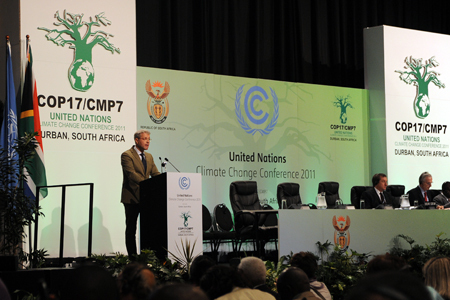 Download the COP17/CMP7 daily report for Friday, 2 December in English HTML or PDF format. 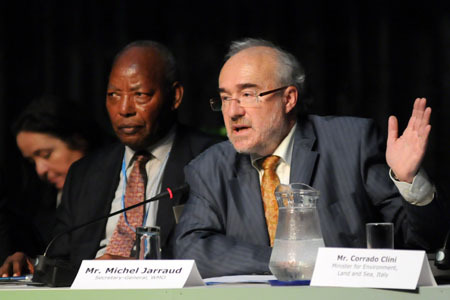 Download the COP17/CMP7 daily report for Friday, 2 December in French HTML or PDF format. Download the COP17/CMP7 daily report for Friday, 2 December in Spanish HTML or PDF format. 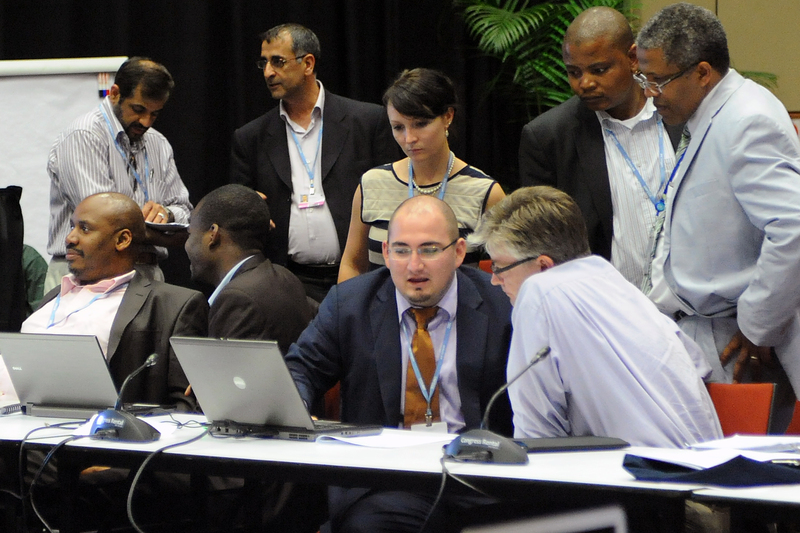 Download the COP17/CMP7 daily report for Friday, 2 December in Japanese PDF format. 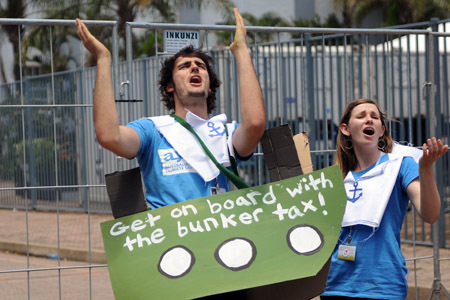 Youth NGOs call on delegates to "get on board with the bunker tax"
Youth ask delegates to get on board with the bunker tax. 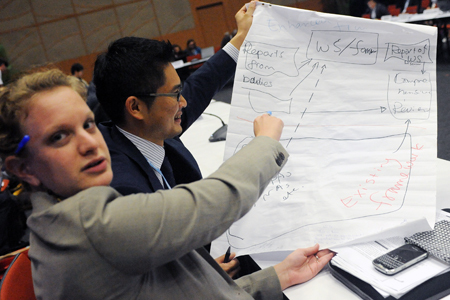 Delegates met in contact groups and informal consultations on a wide range of agenda items under the COP, COP/MOP, AWG-LCA, AWG-KP, SBI and SBSTA. 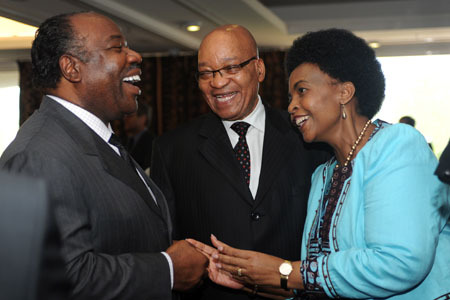 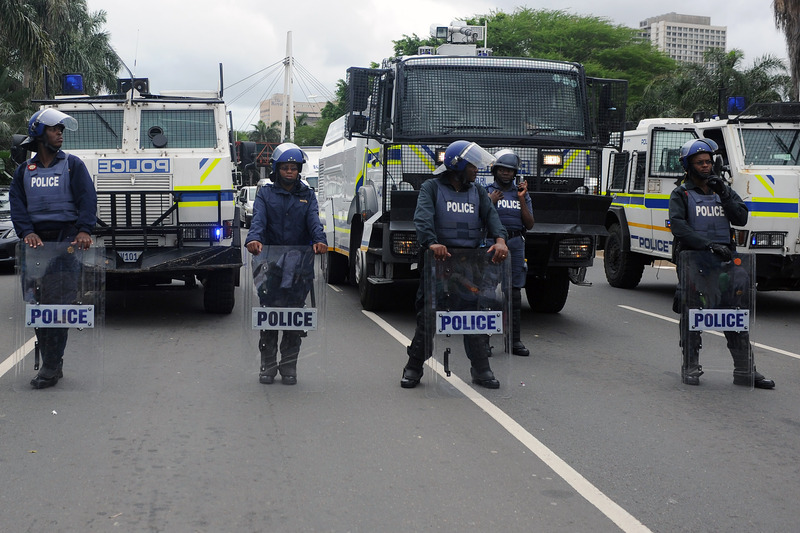 In many cases, negotiators began or continued working on text that is expected to form the basis of the outcomes from these bodies in Durban. 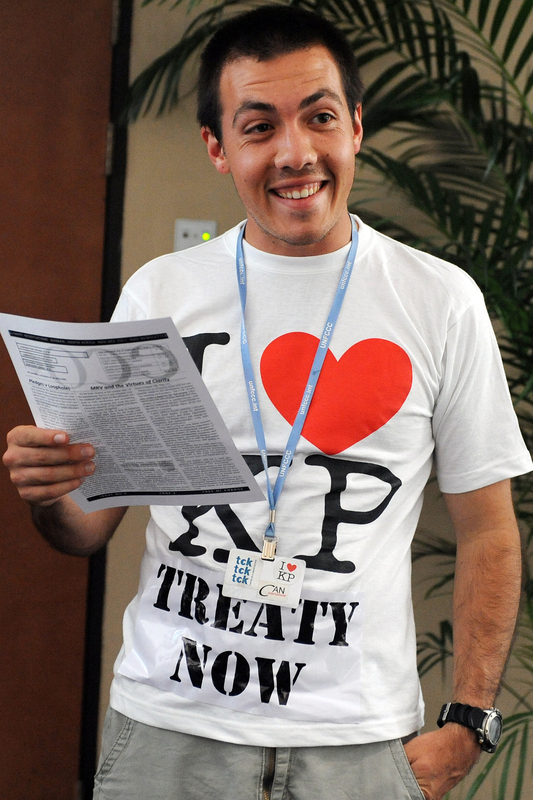 Download the COP17/CMP7 daily report for Thursday, 1 December in English HTML or PDF format. Download the COP17/CMP7 daily report for Thursday, 1 December in French HTML or PDF format. 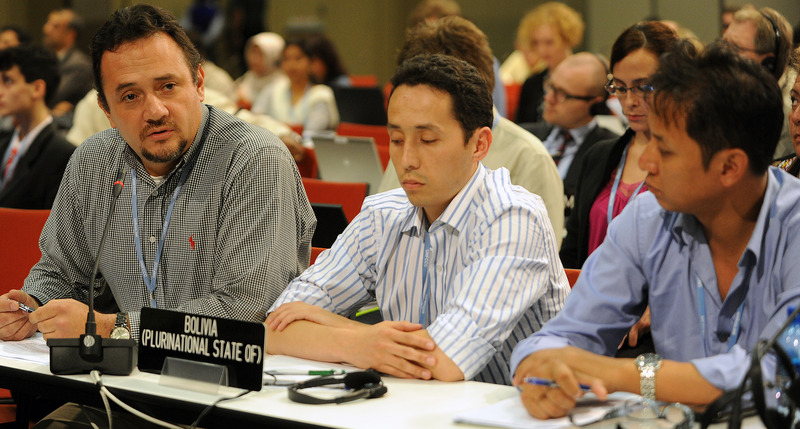 Download the COP17/CMP7 daily report for Thursday, 1 December in Spanish HTML or PDF format. Download the COP17/CMP7 daily report for Thursday, 1 December in Japanese PDF format. Download the COP17/CMP7 daily report for Wednesday, 30 November in English HTML or PDF format. 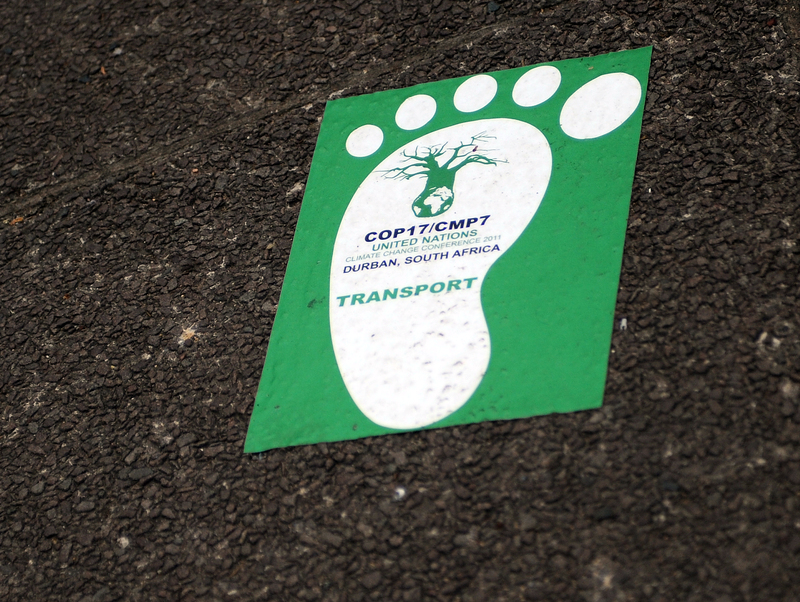 Download the COP17/CMP7 daily report for Wednesday, 30 November in French HTML or PDF format. 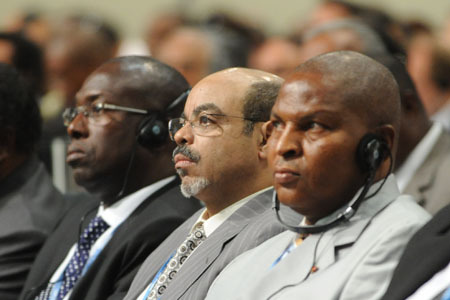 Download the COP17/CMP7 daily report for Wednesday, 30 November in Spanish HTML or PDF format. Download the COP17/CMP7 daily report for Wednesday, 30 November in Japanese PDF format. 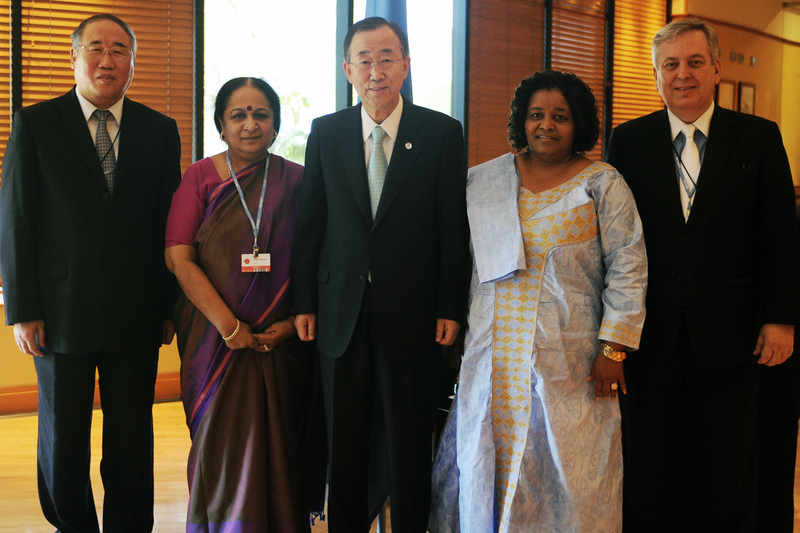 Delegates met for the opening sessions of the AWG-KP and AWG-LCA, and to resume their work under the SBI. 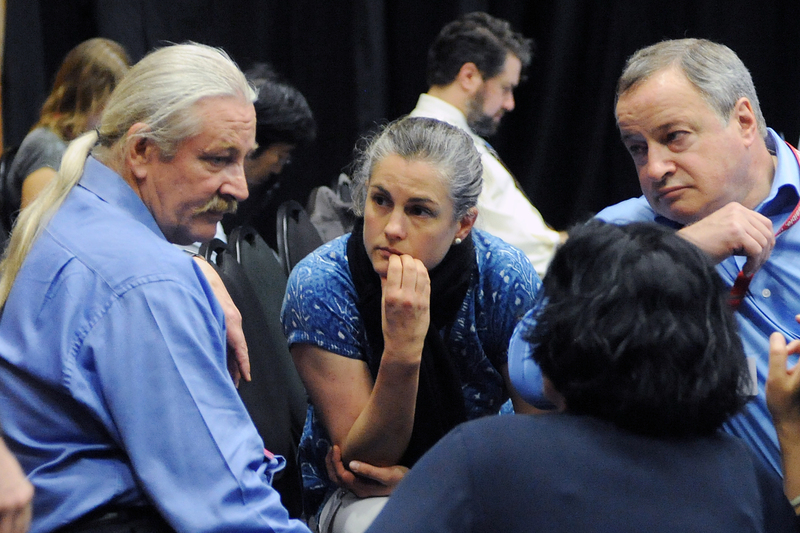 Participants heard opening statements from negotiating groups and gave preliminary consideration to the various agenda items under these bodies. 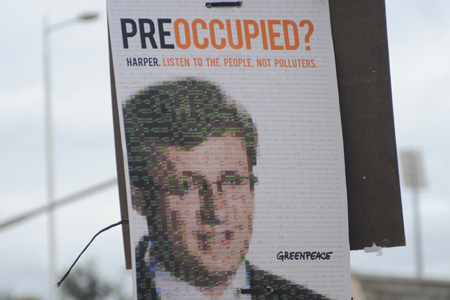 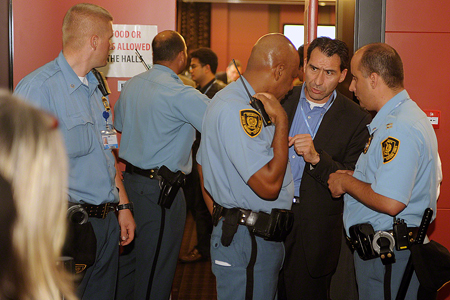 In addition, contact groups and informal consultations began on a range of issues across the various bodies. 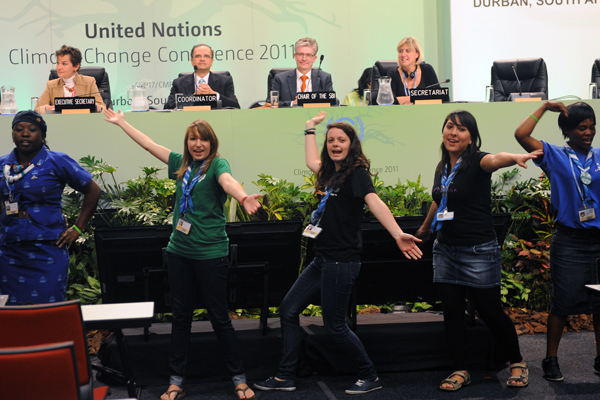 Download the COP17/CMP7 daily report for Tuesday, 29 November in English HTML or PDF format. 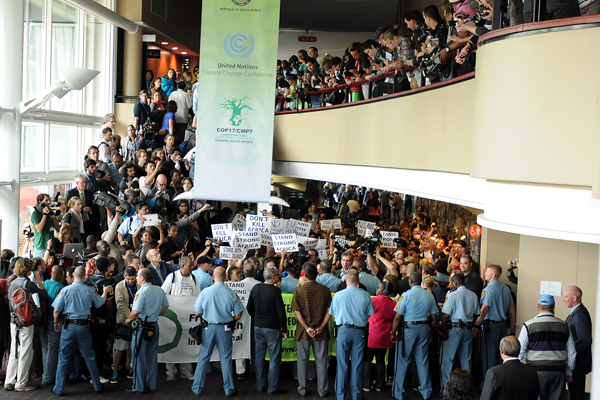 Download the COP17/CMP7 daily report for Tuesday, 29 November in French HTML or PDF format. 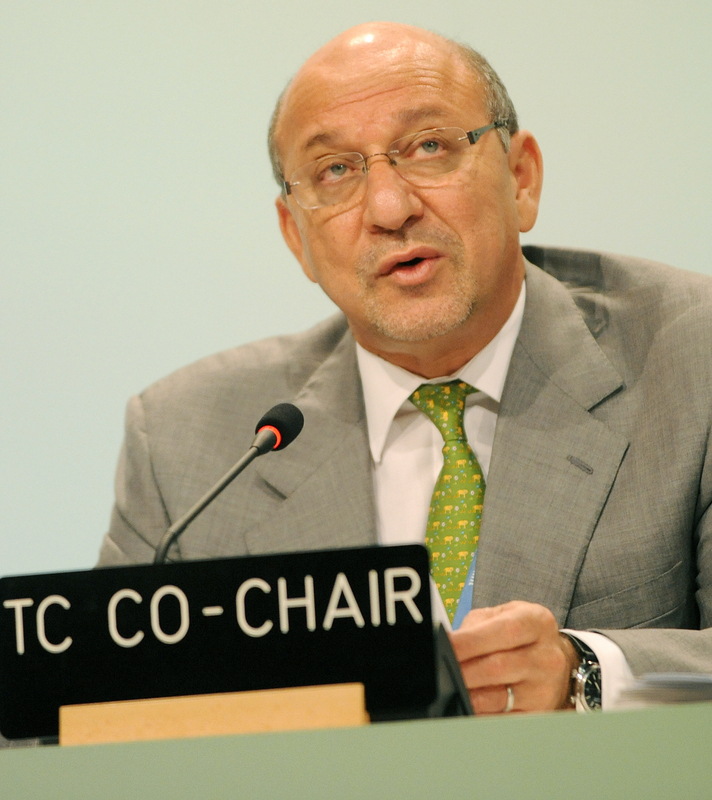 Download the COP17/CMP7 daily report for Tuesday, 29 November in Spanish HTML or PDF format. 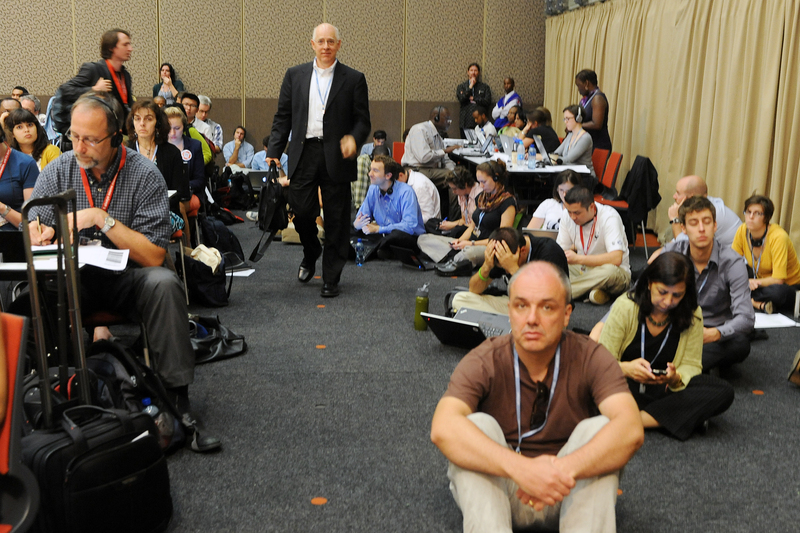 Download the COP17/CMP7 daily report for Tuesday, 29 November in Japanese PDF format. 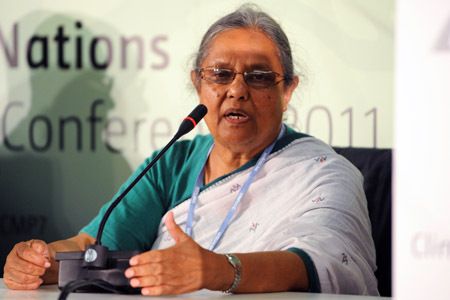 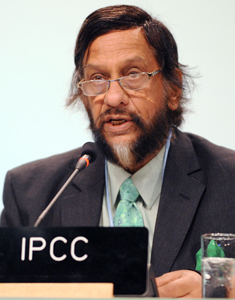 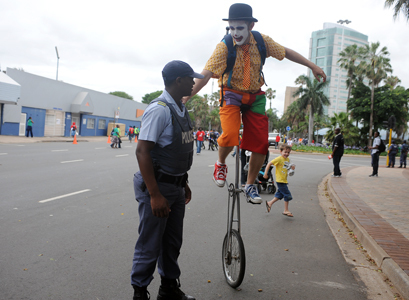 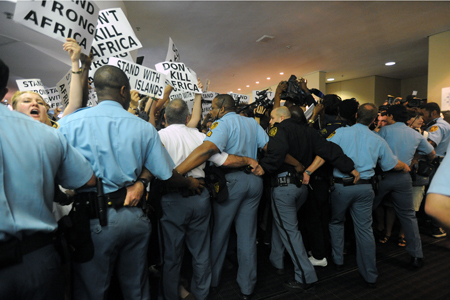 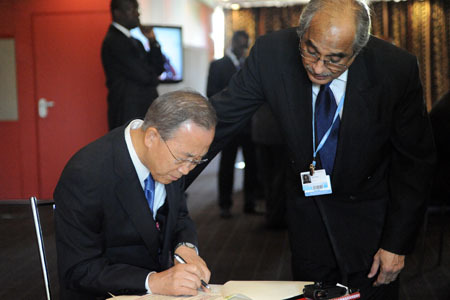 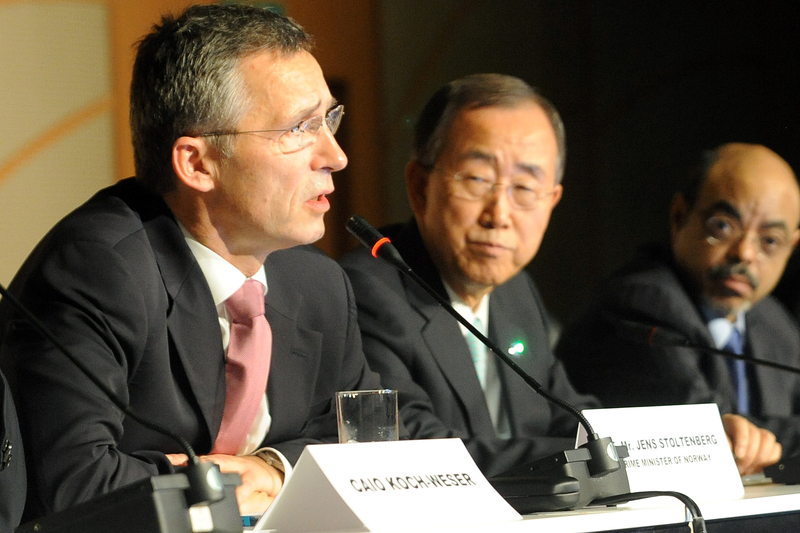 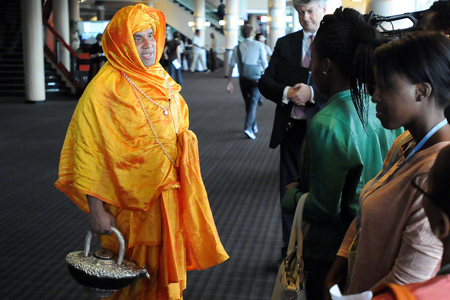 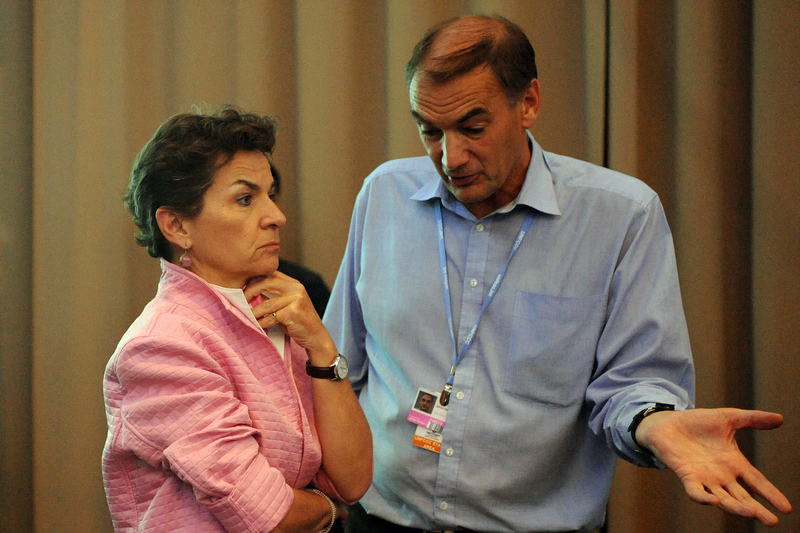 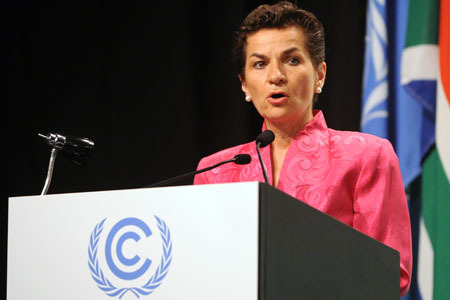 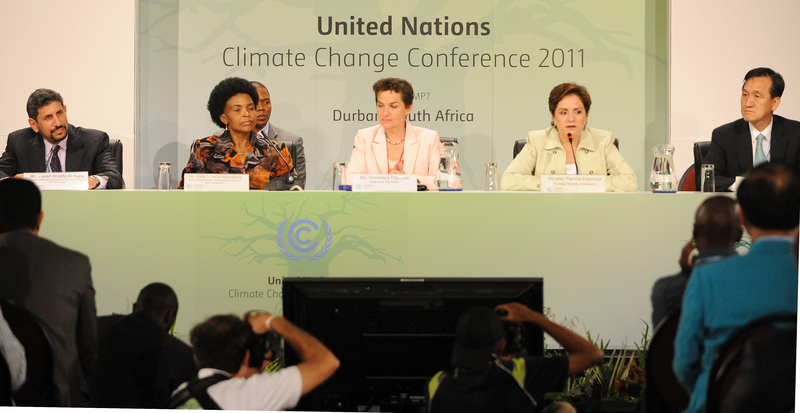 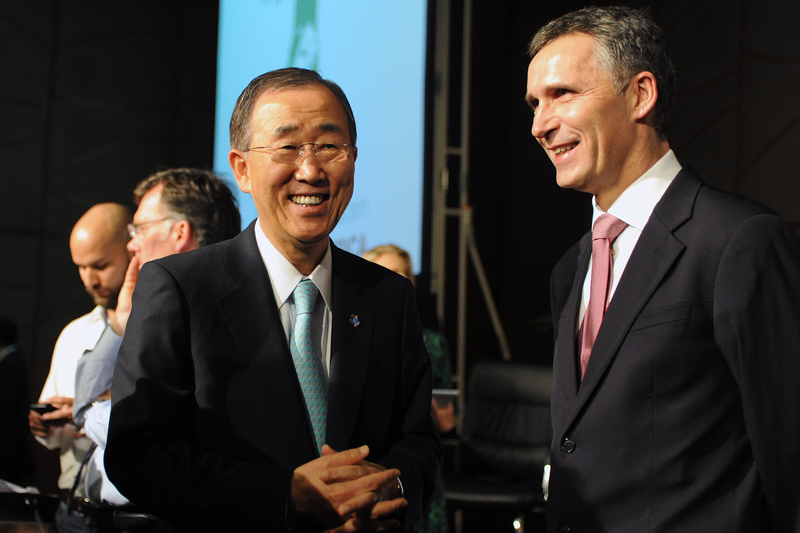 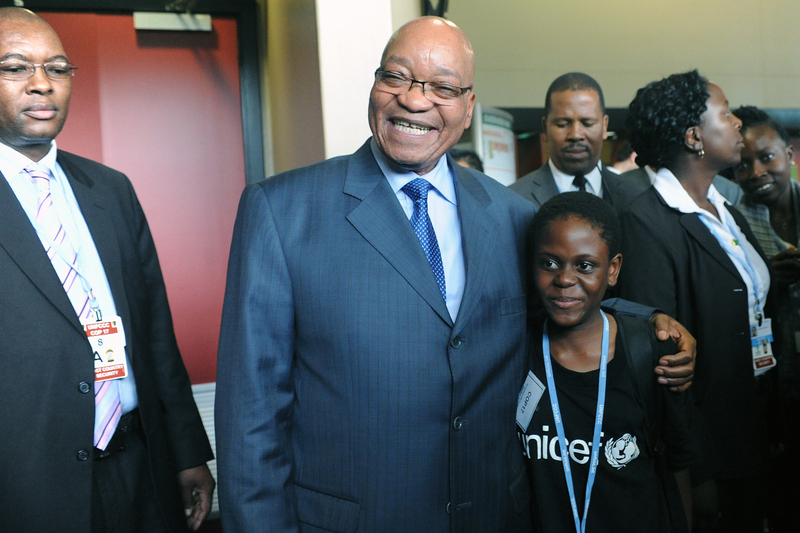 The United Nations Climate Change Conference in Durban, South Africa, opened on Monday morning, 28 November. 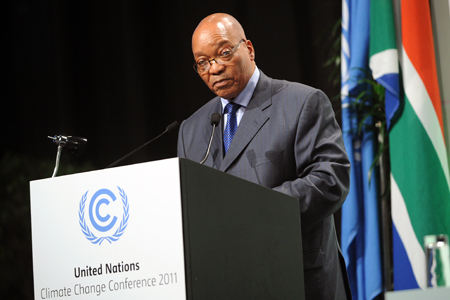 Following a welcoming ceremony attended by South African President Jacob Zuma and other high-level dignitaries, delegates gathered for the opening plenary meetings of the COP, COP/MOP, SBI and SBSTA. During these opening plenaries, parties gave initial consideration to the various agenda items, referring many issues to contact groups for further consideration. Download the COP17/CMP7 daily report for Monday, 28 November in English HTML or PDF format. 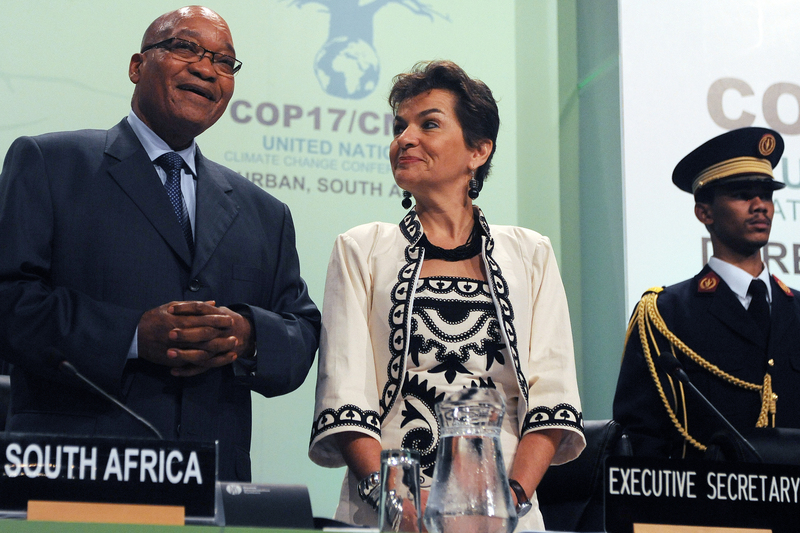 Download the COP17/CMP7 daily report for Monday, 28 November in French HTML or PDF format. 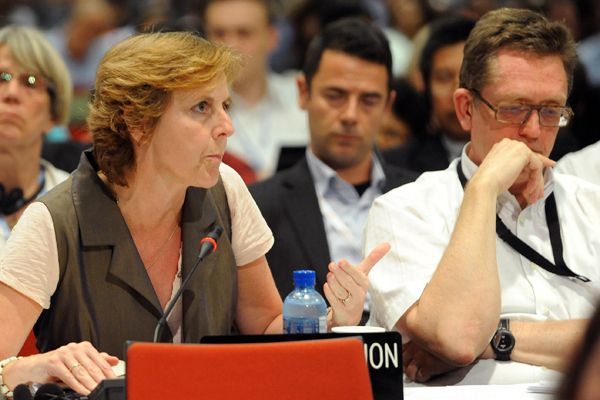 Download the COP17/CMP7 daily report for Monday, 28 November in Spanish HTML or PDF format. 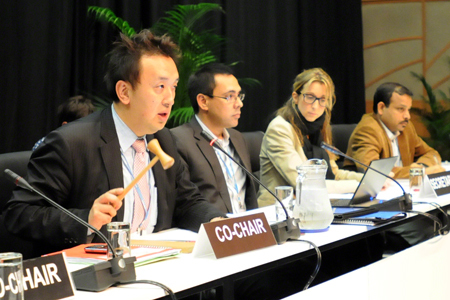 Download the COP17/CMP7 daily report for Monday, 28 November in Japanese PDF format.